Head of Mission of Ukraine to NATO Vadym Prystayko says Ukraine will improve performance next year. 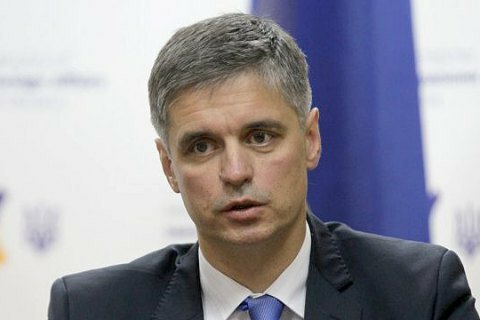 NATO is dissatisfied with the pace of the implementation by Ukraine of the Annual National Program, which determines the list and pace of reforms for further rapprochement of Ukraine with the Alliance, Head of Mission of Ukraine to NATO Vadym Prystayko told reporters in Brussels on Thursday, 9 November. "The Alliance dissatisfied with the implementation of the annual plan and they told us about that. They are unhappy with pace of implementation, and it is not the first year, that is, not the first program, that could have implemented more effectively," the diplomat said. Prystayko noted that Deputy Prime Minister Ivannna Klympush-Tsintsadze, who was in Brussels on an official visit, was informed about the NATO dissatisfaction. Pristayko explained that the delay was because the plan, inter alia, sets too ambitious objectives, "grandiose in size and scope." "We assume obligations that are too ambitious to perform," he admitted. "Nevertheless, Ukraine is doing everything it can to adapt to NATO standards and intends to improve its performance next year." President Petro Poroshenko approved the 2017 program of cooperation with NATO in April. The goal of the program is to bring Ukraine closer to NATO standards. Reporting by Yuriy Mikhailov, lb.ua. Brussels.